Forty percent of most instances of vehicular accidents according to the National Highway Traffic Safety Administration (NHTSA) in Nashville are linked to negligent, distracted drivers. They are either driving under the influence (DUI) or driving with impairment (DWI) from substances like alcohol or drugs, or simply texting or sending email from their smartphones while driving. These and many more can be the cause of distraction while driving and should be avoided at all times. This is why in Nashville, it is actually illegal, and utmost care at all times must be maintained while driving. Distracted drivers tend to disregard the welfare of others while they are on the road. Texting on their phones while driving. Drivers taking or making a call when driving. Sending or reading emails on their smartphones while driving. Picking up some stuff under the seat while driving. Planning a route on GPS while driving. Taking their eyes off the road while scanning for restaurants and shops outside. Turning around to talk while driving. Drivers taking their hands off the steering wheel to open a canned container to eat or drink. Wanting to change music on the stereo or iPods while driving. Driving while intoxicated with illegal substances. Under the Tennessee Code Annotated sec. 55-8-136, the driver has the main responsibility and is required by law to use due care in all situations, and maintain a safe speed at all times regardless of traffic signals, and keep proper control over the vehicle when driving. The law is goes over that it is illegal to send or read text messages and emails on smartphones while driving an accelerating vehicle. However, reports state that it has been leniently implemented in Nashville. I-Team reported that Metro police in the area are not citing many texting drivers. The Metro police spokesperson, when asked why, stated, “Texting while driving is hard to prove unless there is a witness on site or the driver admits to the charge.” However, the law must be seriously implemented and should be taken into serious consideration as a number of vehicular accidents are already caused by inconsiderate texting drivers. Furthermore, the law is already in place talking about distractions when driving. Distractions must be avoided at all cost when driving. Regardless of reasons it must be strictly implemented and drivers must abide the law at all times. This will not only protect other people or a pedestrian, but also yourself and passengers with you while on the road. DISCUSS AN ACCIDENT CAUSED BY A DISTRACTED DRIVER WITH AN EXPERT NASHVILLE LAWYER. Have you or any family member been in a vehicular accident caused by a distracted driver? Is anyone in your family hurt or severely injured? A competent Nashville distracted driving accident lawyer could help you with claims and damages that you are entitled to. Getting compensated for a vehicular accident that was caused by a negligent distracted driver is what you rightly deserve. 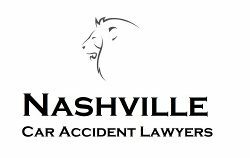 Call an expert Nashville lawyer now!